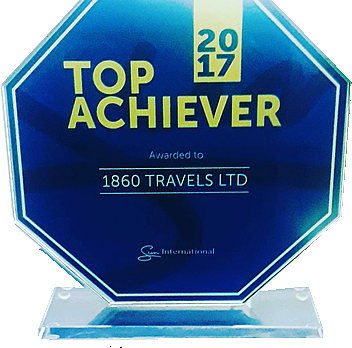 Our brands: 1860 Travels Limited is a company that also specializes in Sports Tourism, making out one-stop Tour packages to International Sporting events which includes events being organized by FIFA (Federation International de Football Association), CAF (Confederation of African Football), Top Football Leagues around the world, IAAF (International Association of Athletics Federation), Top Lawn Tennis Grande Slams, Golf Competitions etc. From the minute I saw the beauty of the FIFA World Cup in South Africa in 2010 - I fell in love with the Sports travel industry. Therefore it is our desire to offer you the best of your time out in such big tournaments. 1860 Travels understands the wide nature of travel management services and the need to ensure that no information is lost at any point in time. To this extent, we have created multiple niche markets that focuses on different travel areas and services. Therefore, we are glad to drive our services through the auspices of these undermentioned brands fully ensuring that we journey with you all the way. A unique market place for travel/holiday/vacation packages & other sundry travel services covering all sphere of travels, which includes and not limited to: Leisure, Corporate/Business, Sports, Events/Entertainment, Pilgrimages, Tours, Attractions, Transfers, Cruises and so on. There is something that fits your needs, Visit and book now. You want the best global fare for your air travel? On the socials via hashtag “#airfarez, mobile or web? Then #airfarez has been designed to connect you with the best options, with bookings completed and flight tickets issued promptly no matter where you are and irrespective of where you going. Connect today and join the global league of travelers going on the next stop with best fares. Lagos getaways are unbelievably interesting; hence we have provided a brand that is targeted at bringing the best out of Lagos to you. Lagos is a city of aquatic splendor, centre of excellence and entertainment headquarters of Africans. You want a timeout at any time in Lagos? Gidi Getaway Now! Myciti is a guide into a city of your choice made available to locals and tourists to show them what’s happening in their city at all times. MyCiti will not just show you, MyCIti will take you there, and when you are done MyCiti will take you back home. Visit Myciti to learn more about whats going on in your city. Available on Android & IOS via popguide. Arriving in Nigeria from anywhere in the world and require a ride to your destination? Then the right partner is HoppaNigeria. Hoppa Nigeria is a country partner to one of the worlds leading Transfer company Hoppa/A2B Transfers and you are sure we keeping the global best practices. Going anywhere in the world? Book your ride with us today. Click now!